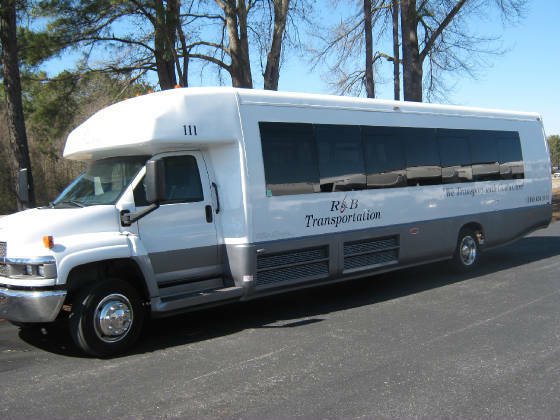 35 Passenger with Bathroom, Satellite TV and Wi-Fi. Thank for visiting our Web site. We are a family owned business where God and your safety is our first priority. We at R&B TRANSPORTATION are in business to make YOU, the customer comfortable. We are here for the small groups. Why should your small group pay the same price as a large group? They should not! With us, your small group gets that same Big Bus comfort in our Mini Buses. We specialize in Cruise Transportation to Mobile Al. Jacksonville, Port Canaveral, Ft. Lauderdale, and Miami Florida. We also cover Orlando, Fl and New Orleans, LA. In fact...if there is somewhere in the United States that you need to go, R&B Transportation can most likely help you get there! ALL BUSES ARE EQUIPED WITH AM/FM RADIO,CD/DVD PLAYER TV MONITORS WHERE EVERYONE CAN SEE, READING LIGHTS and RESTROOM. OUR DRIVERS OR WELL TRAINED PROFESSIONAL, WHOSE MAIN PRIORITY IS YOU THE CUSTOMER. SO GIVE US A CALL AND LETS GET TO TRAVELING. GOD BLESS!!!! R&B Transportation now offers Limousine Services. Let us take you in style anywhere you need to go...any time of the day or night. 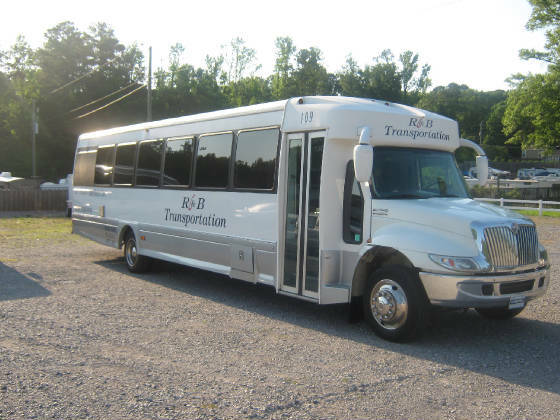 Please contact R&B Transportation for a full description of ALL of our transportation services.